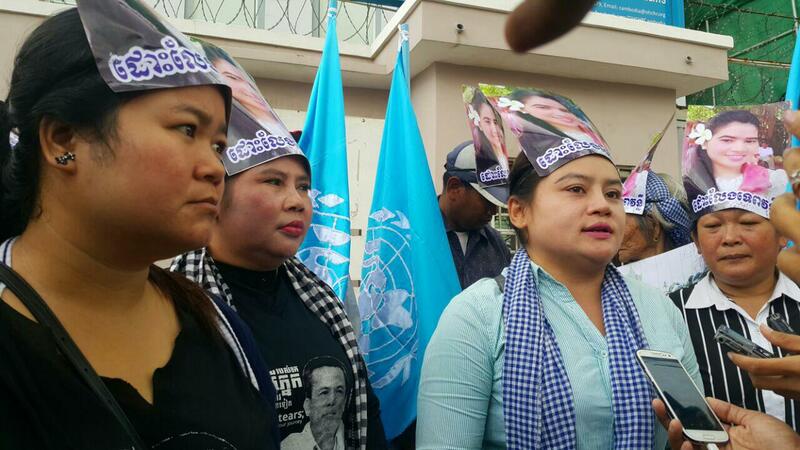 In the aftermath of the arrest of Mr. Tep Vanny on 15 August 2016, Boeung Kak and Borey Keyla communities decided to gather in front of the Office of the United Nations High Commissioner For Human Rights this morning, in the hope of handing their petitions to the UN Special Rapporteur, Ms. Rhona Smith, to convene in Tep Vanny’s detention and to find solutions to their long-neglected housing and land disputes. 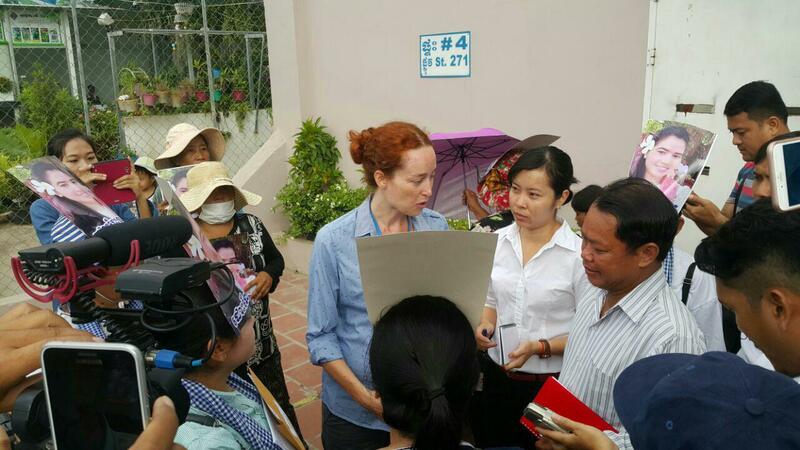 Although the community victims did not meet Ms. Rhona Smith, while she was having scheduled meeting with other institutions, the petitions ultimately reached the UN spokesperson, along with an explanation from the spokesperson that Ms. Rhona Smith had already addressed the arrests of human rights activists with Prime Minister Hun Sen and Phnom Penh Governor Pa Socheatvong during their meetings. However, the Premier seemed to have no interest in talking about the human rights activists in Cambodia. Around fifty people made a request to the OHCHR with a firm belief that Ms. Rhona Smith will be able to improve human rights situation in Cambodia by her important role as a broker between the government and the victims. 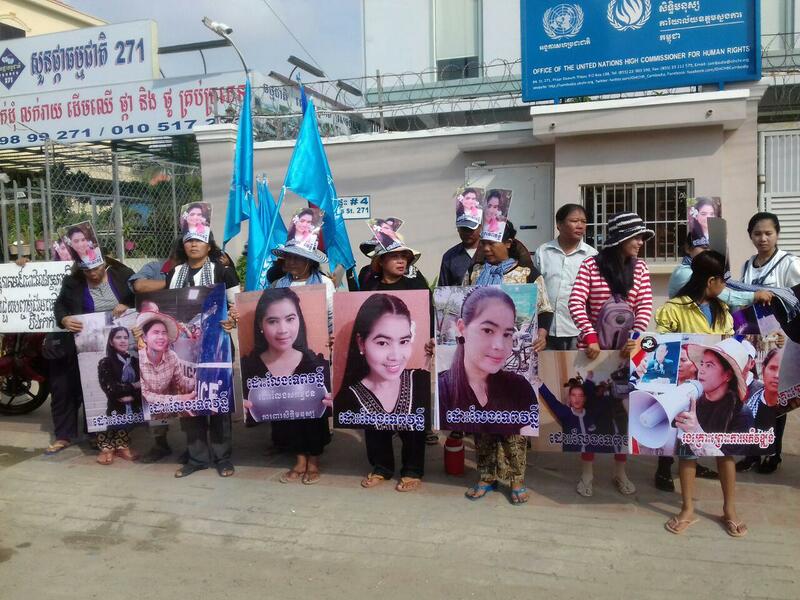 In addition to that, the community also sent a message to Prime Minister Hun Sen, reiterating that arresting his own people would not be a smart instrument to his political supports as the national election was approaching. Likewise, using the stick rather than the carrot should be not utilized while Cambodia is facing social injustice from which the people are suffering.